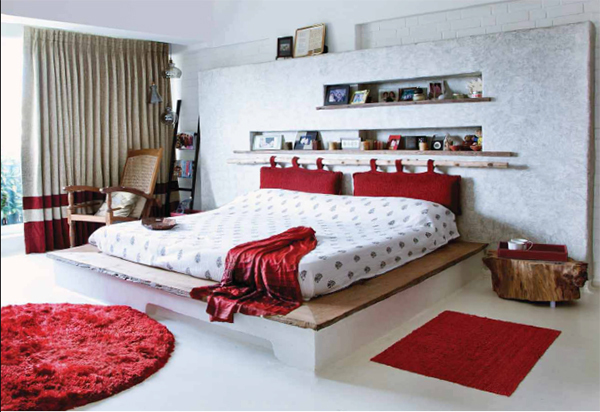 Discarded plywood as rafters on the ceiling; cement base seating in the living with sparkling white cushions for comfort peppered with blue pillows; open kitchen with a vertical herb garden; white walls interspersed with cool blue, minty green and the warmness of red in right measures. Already dreaming of a vacation in some remote island off the coast of Spain or Mediterranean? Well, this teaser of an image is right here in Mumbai. 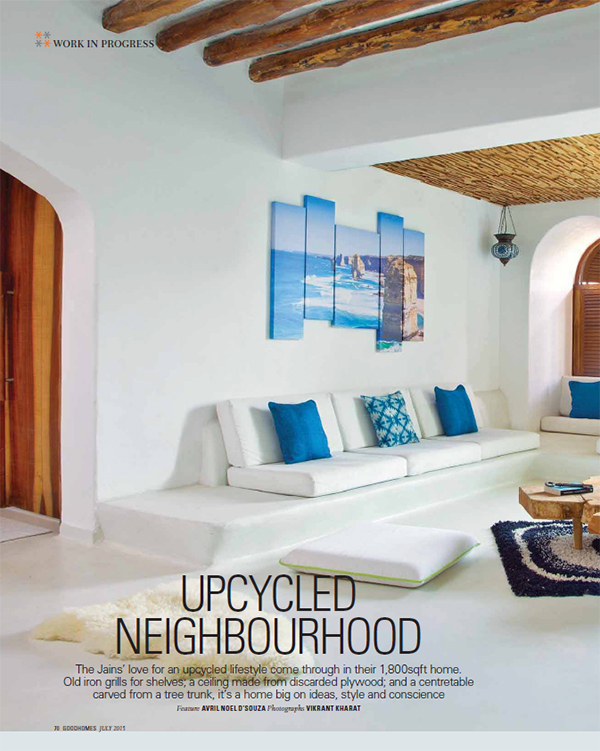 Welcome to the Jains’ upcycled home, as featured in the July issue of GoodHomes. 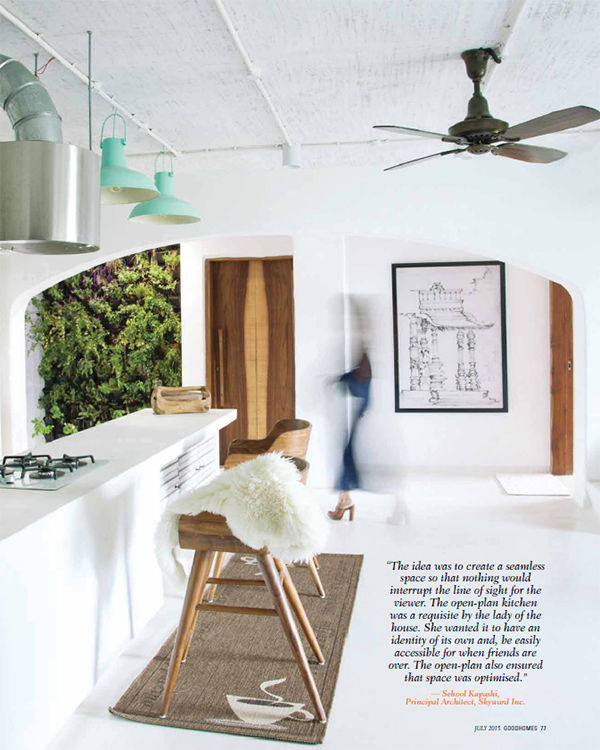 I’ve lost track of the number of times I’ve drooled over these images and shown to every person who has a remote interest in interiors. This is the best home tour I’ve seen in a long time, and I hope you’d agree. If you’d like to read the full story, grab a copy. My respect for the Jain’s and Sehool Kapashi is tremendous today because of the harmony seen in this home. As someone going though the process of designing our home currently, I understand what it takes to find the right designer, conveying your vision, for the designer to be able to appreciate and execute it is no mean task. And this, for one, is not a run-of-the-mill home. It stands out enough for us to take notice and cheer. 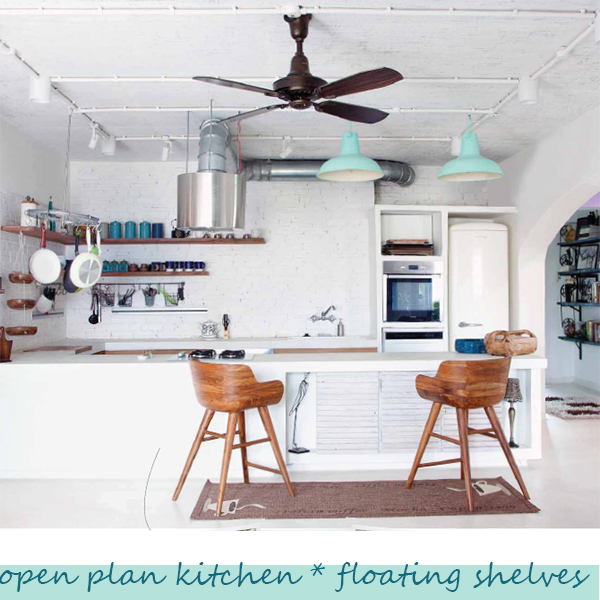 The rustic feel of wood, the openness of open shelves, the casual style of the open cabinets speaks volumes about the thought behind the design: perfect balance of aesthetics and comfort in use. 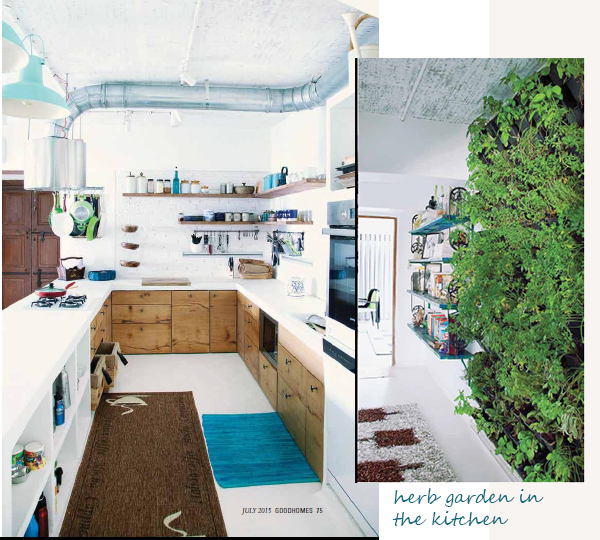 Bringing in a piece of nature indoors with this vertical herb garden. I hope you enjoyed this tour as much as I did. Adn jst so you know, this was not a promotion for GoodHomes. But, if you are in the process of designing or renovating your home, the magazine’s Facebook page has tons of brilliant ideas you could use. 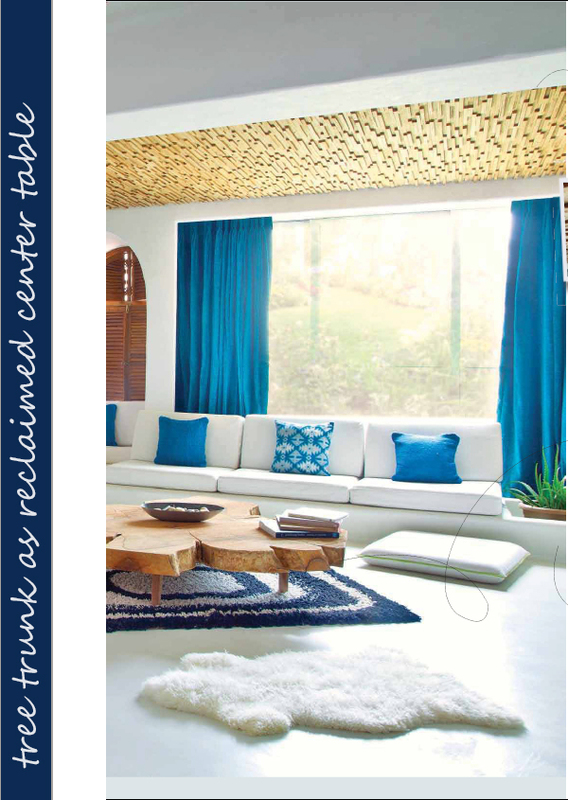 Where to look for an interior designer? very mediterranian! beautiful blues & whites !